Sorry friends....I don't have a guided reading activity for you today. A) It was career day, so we were running around like a crazy people all day! B) I left my guided reading activities folder at school, which has all my things to do - oops! 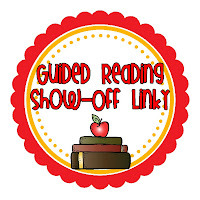 BUT, please go check out the linky - some great things have been linked up! 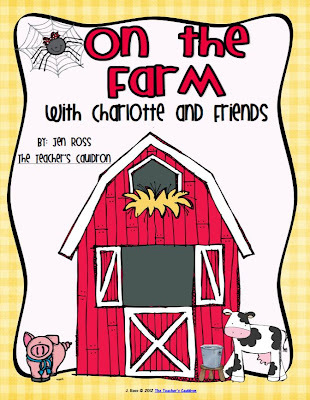 with Charlotte's Web and farm animals. 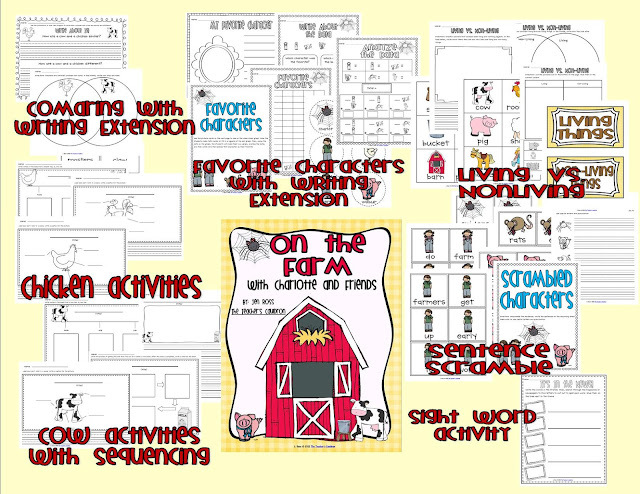 I WISH I had another week to work on the Farm theme, BUT I have to move on!! 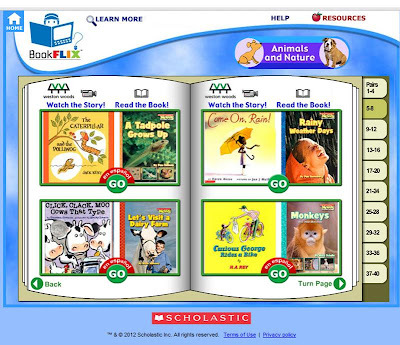 It started off as me using Bookflix. I really like this site because it pairs a fiction and non-fiction book together, so you can do both genres! 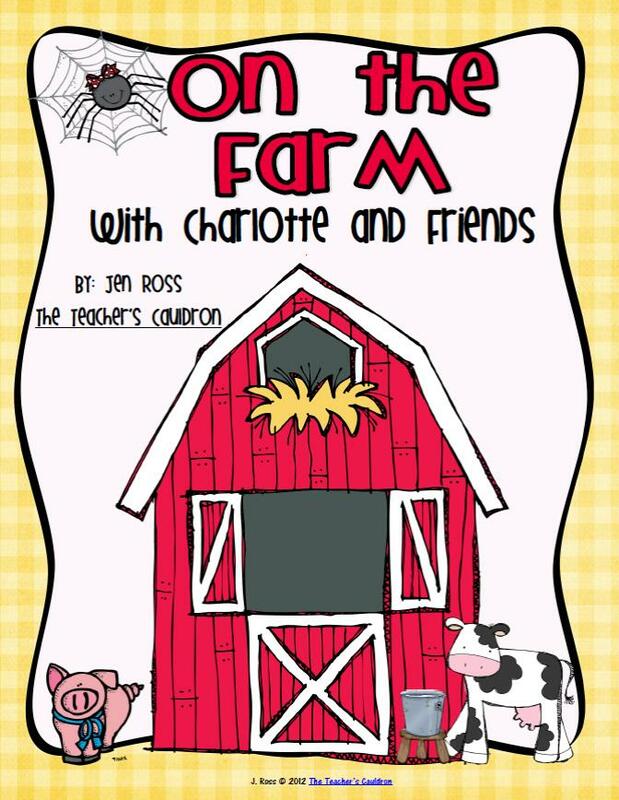 So I had them "watch" the story, "Let's Visit a Dairy Farm." They did a flow chart, and then put the flow chart into word. I needed a cute craft to go with it, so I snagged Reagan's Farm animal crafts - so cute! 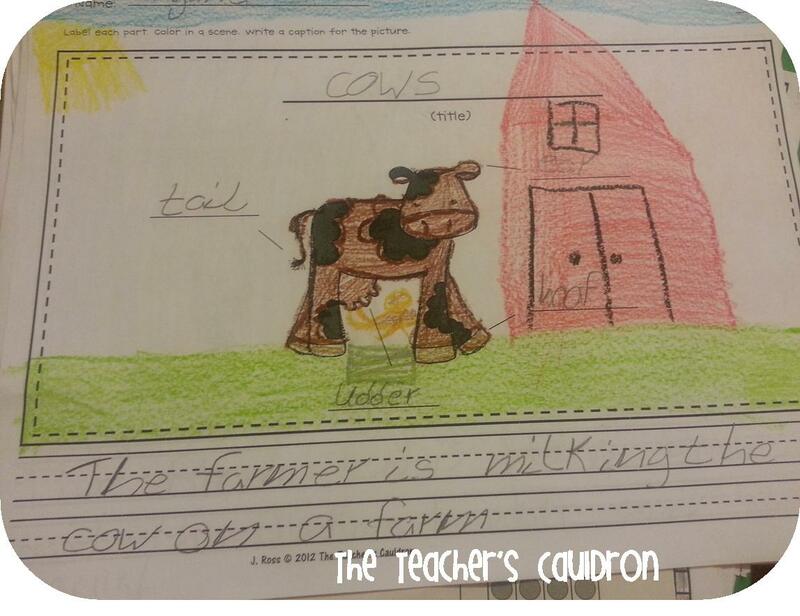 p.s...I didn't have my kids use tracers. I made one (from the tracers - haha!) and let them just look at it as a guide and they came out SOOOOO cute!!! 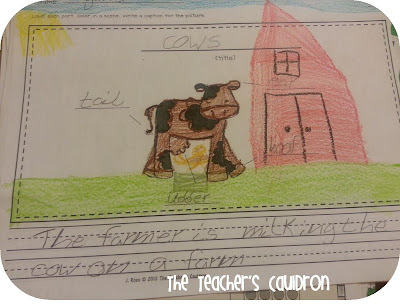 And they did some more labeling with caption writing. They're FINALLY starting to get the whole caption thing...the caption has to tell about the PICTURE...not something random..lol. It really is a hard concept. 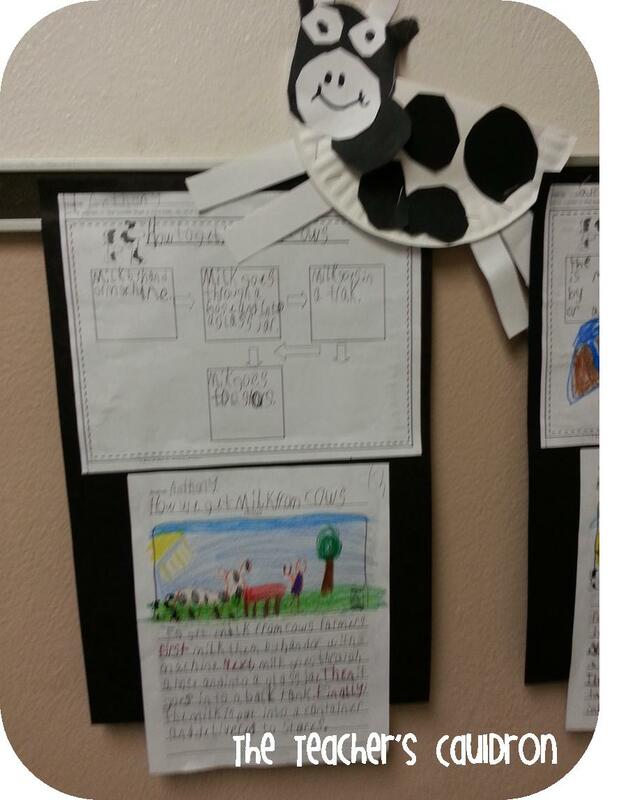 THEN, they compared and contrasted cows and chickens...using the CORRECT terms, of course. And of course, they had to put the venn diagram into writing. EVERYTHING is tied to writing...didn't you know?? 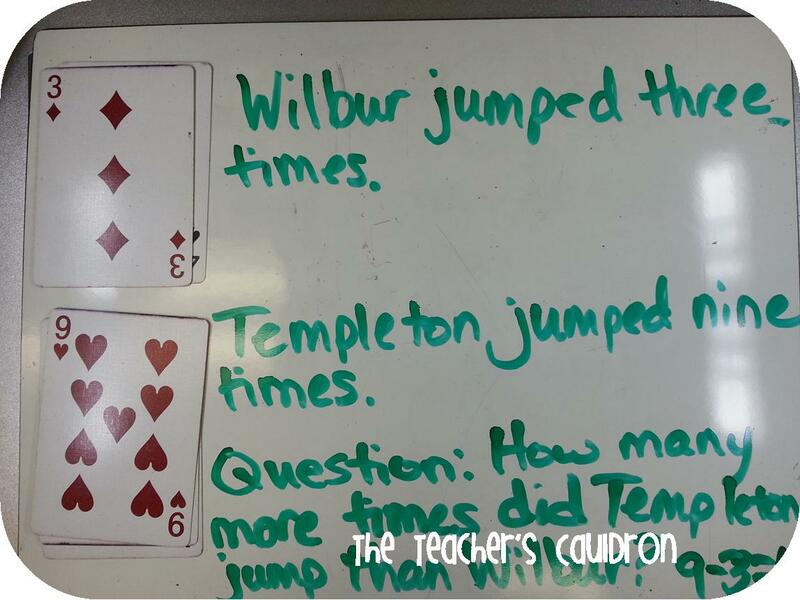 The students flipped over 2 cards and had to write their own subtraction sentence on their write boards. 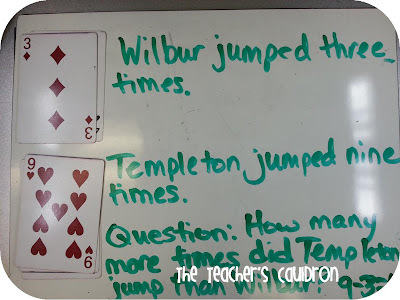 THEN, after I approved their math story, they got to write their problem on a pig (Wilbur) and they wrote their math problem on the blue ribbon - it's so cute! Darned if I don't have a picture - boo! I'll have to get one on Monday. Cow activities: tree map, labeling with caption activity, sequencing chart with book suggestions and writing extension.